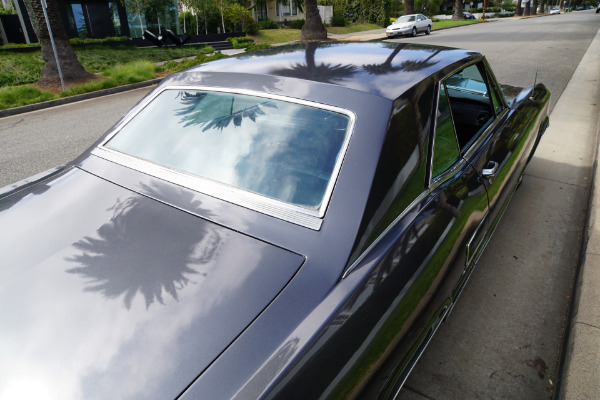 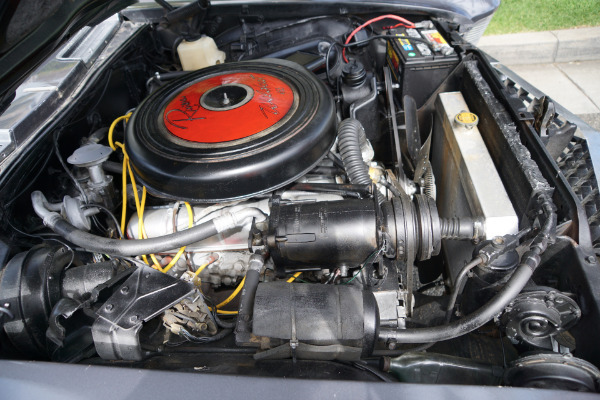 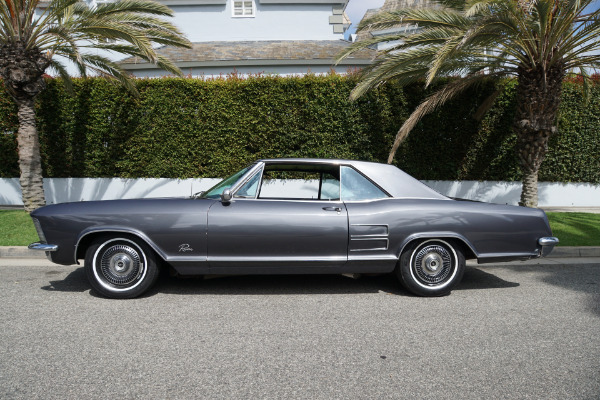 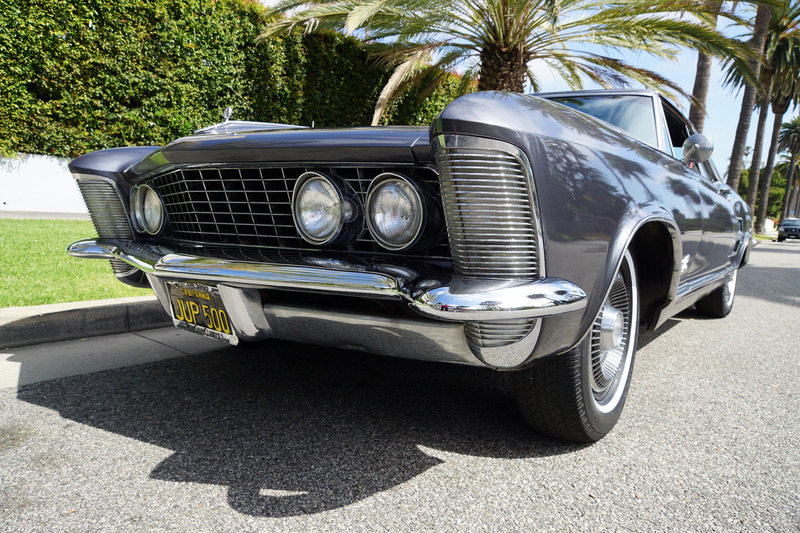 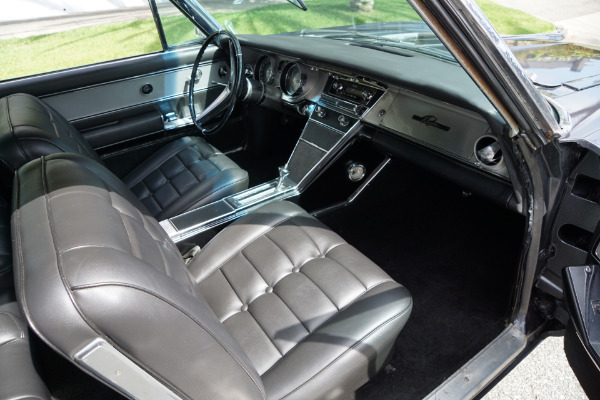 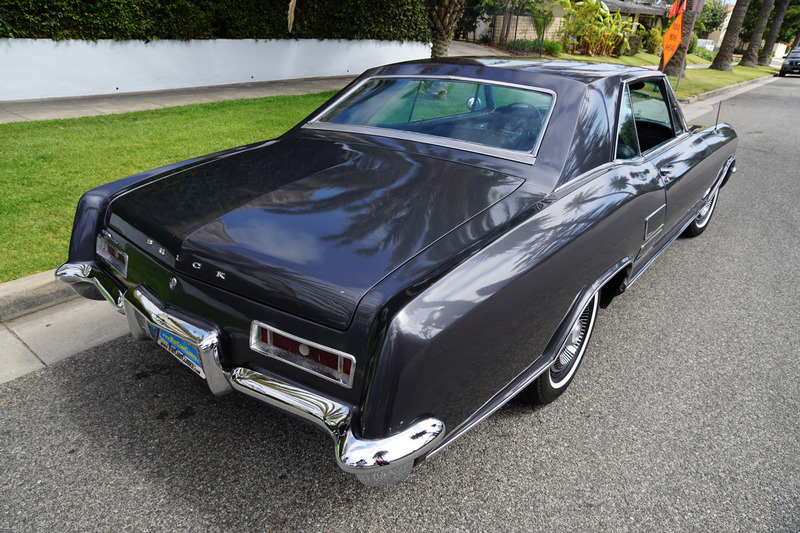 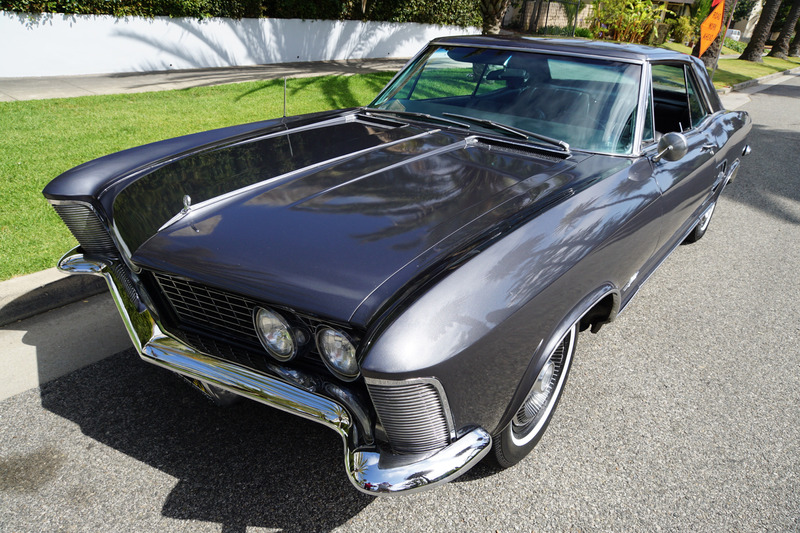 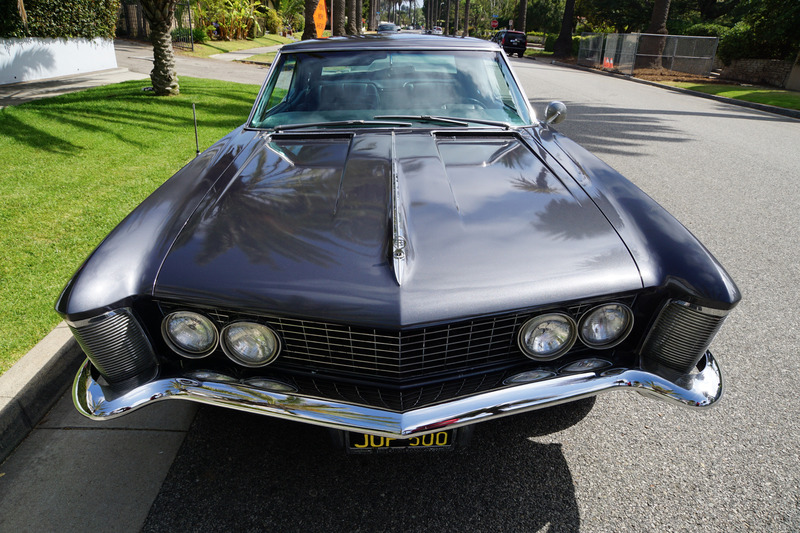 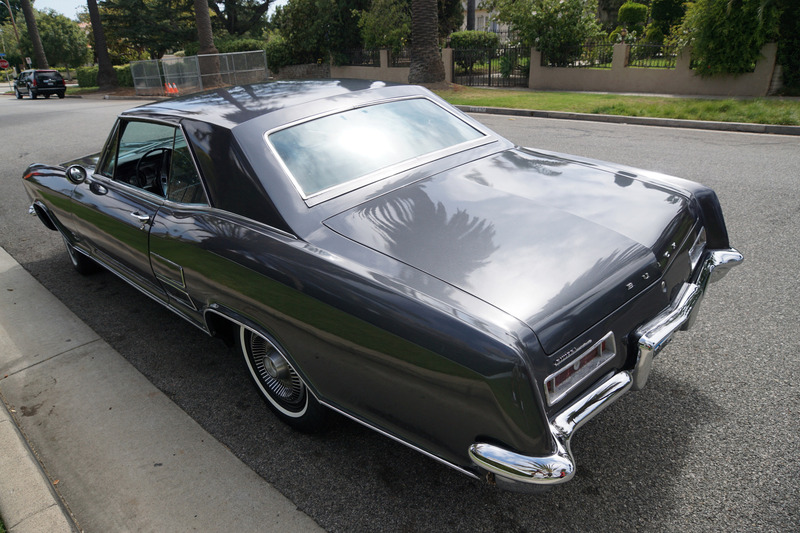 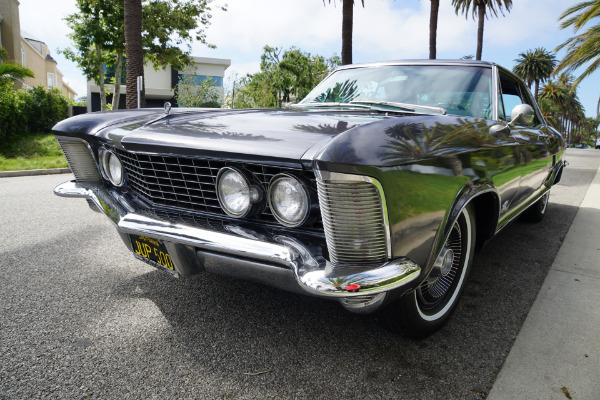 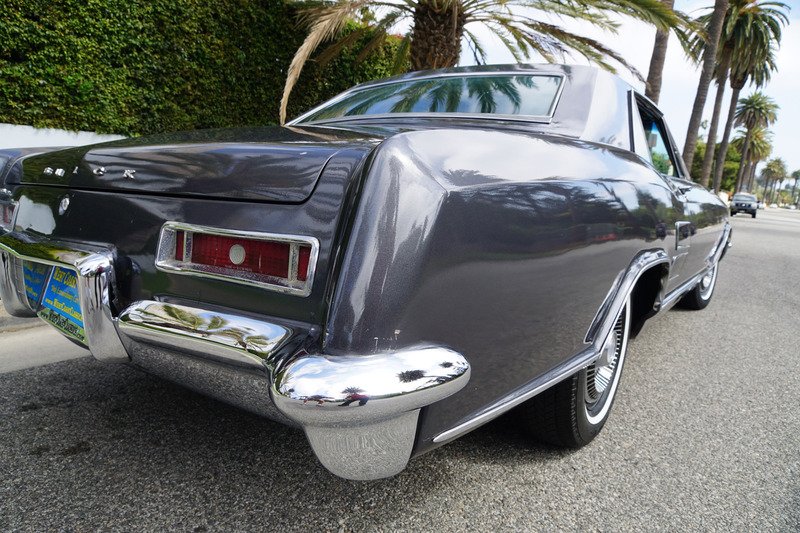 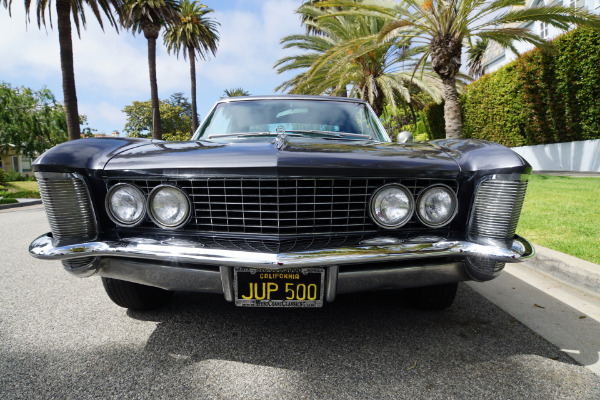 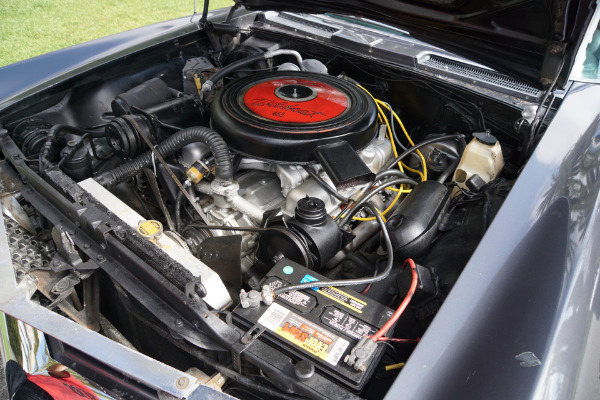 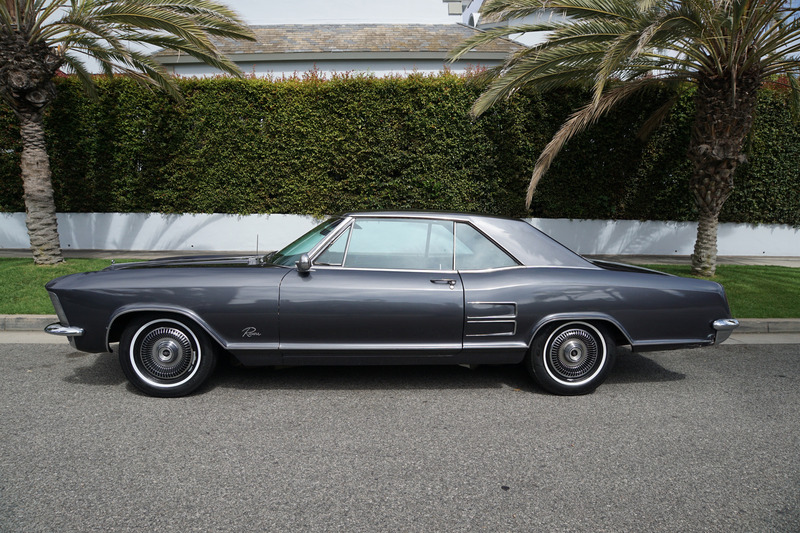 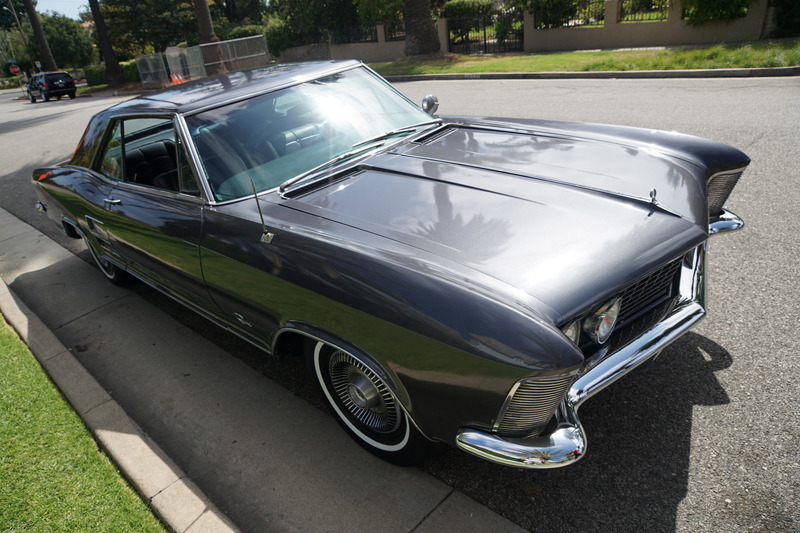 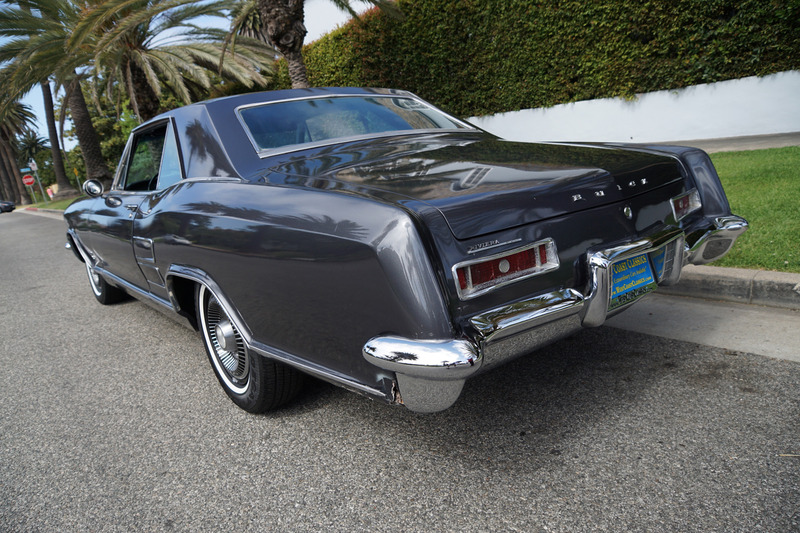 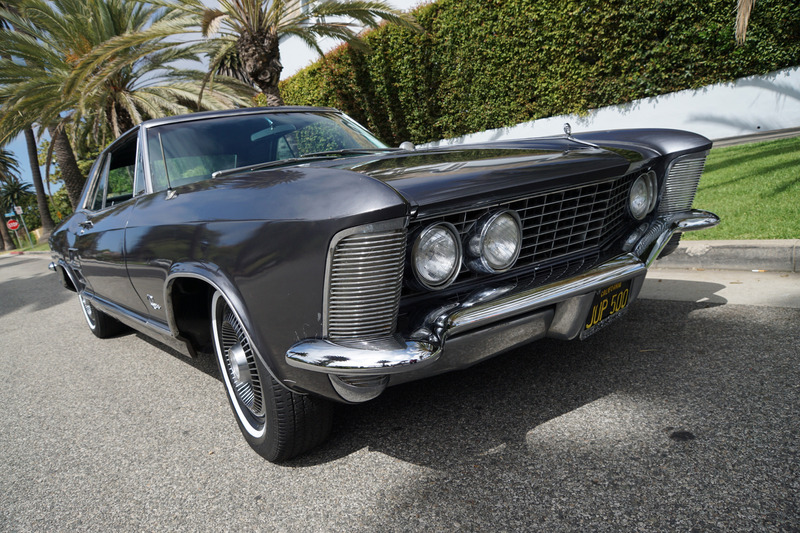 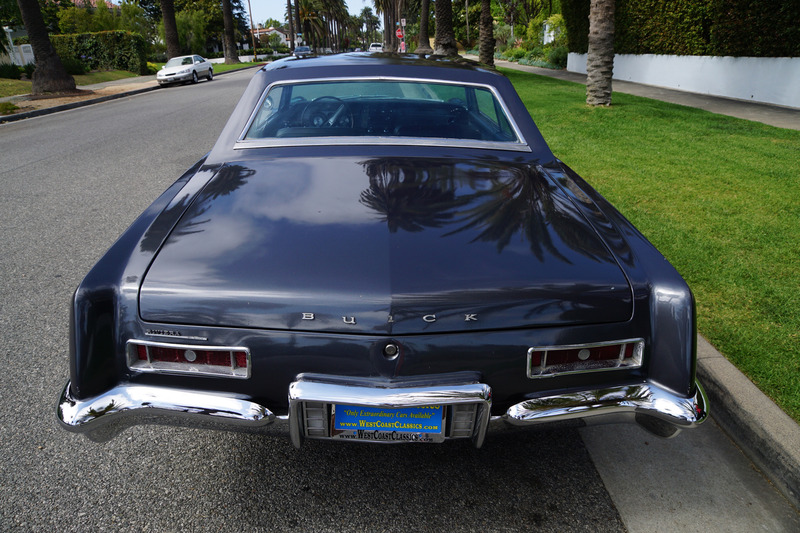 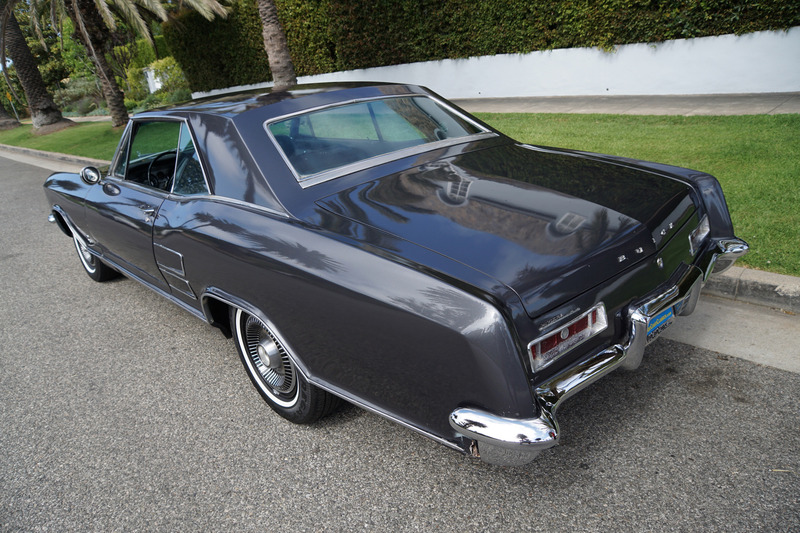 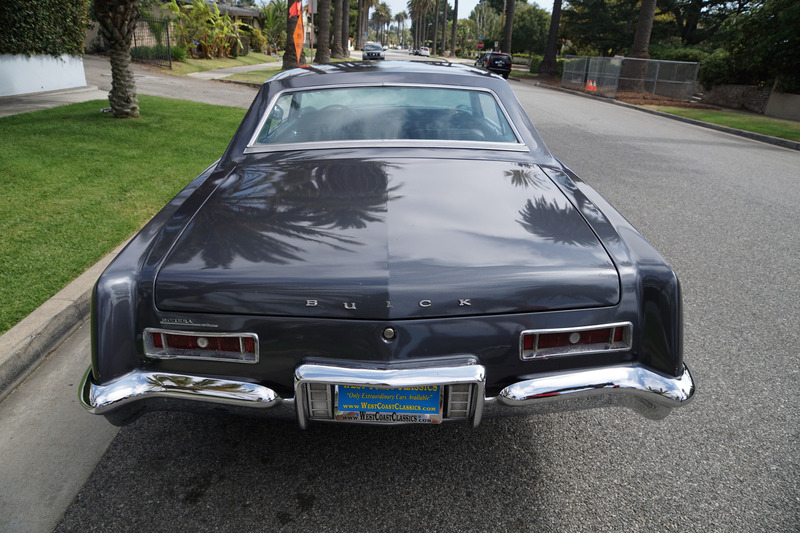 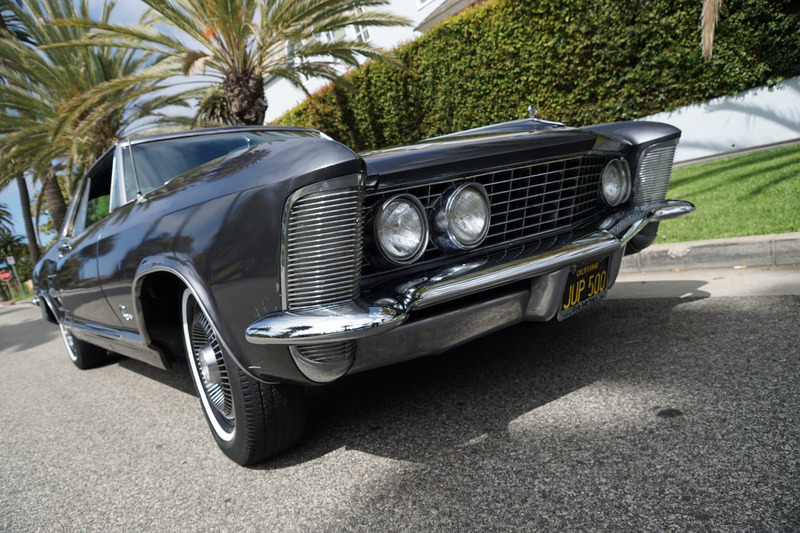 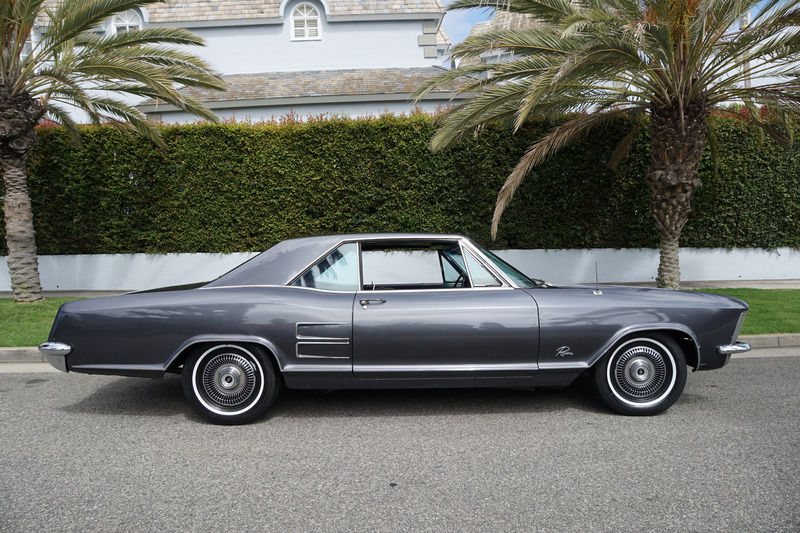 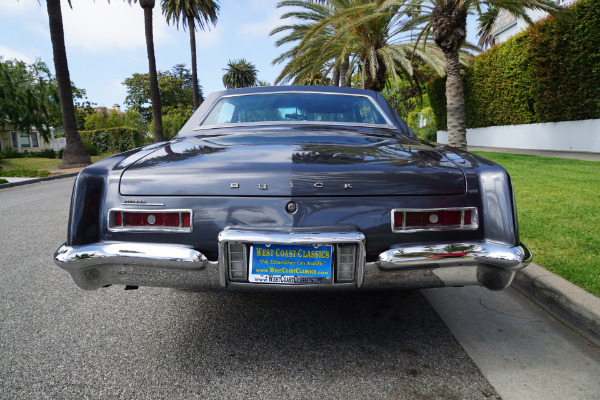 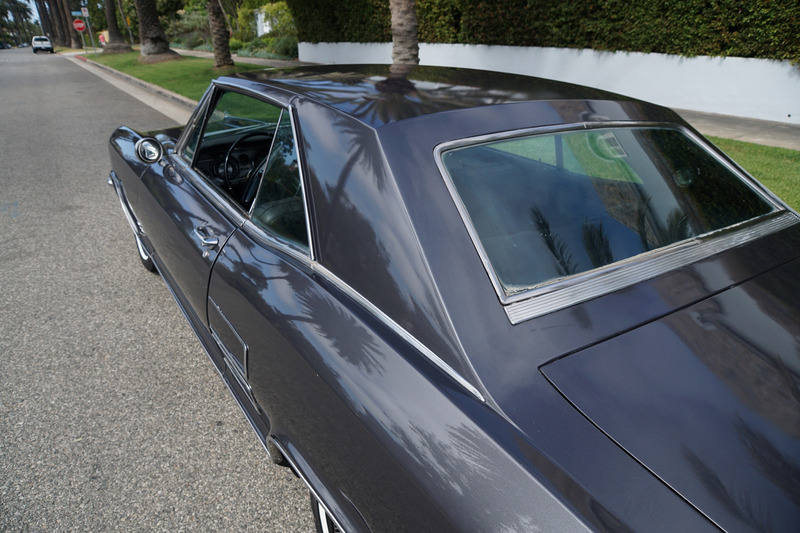 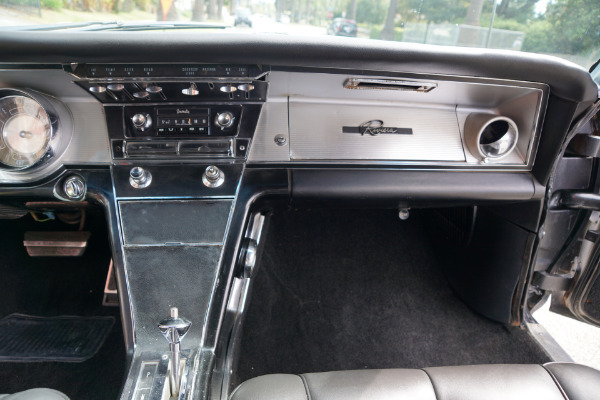 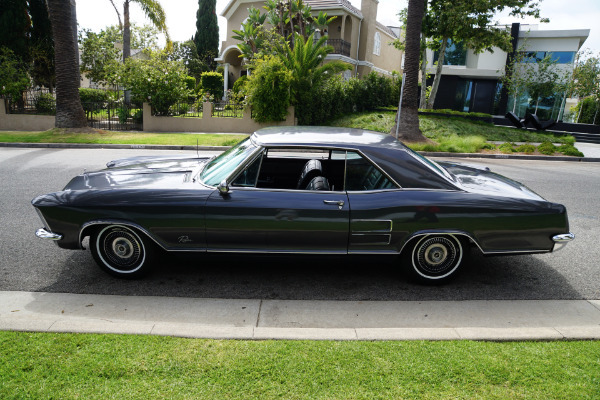 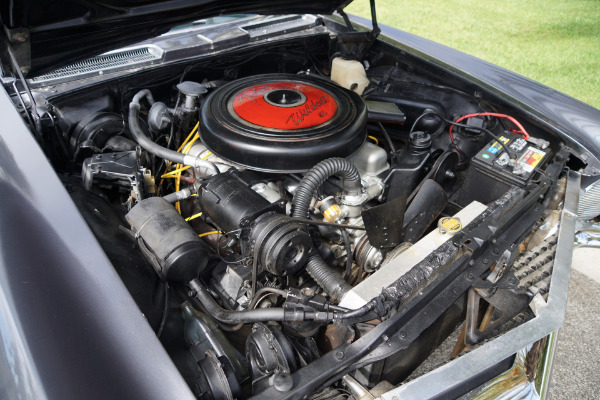 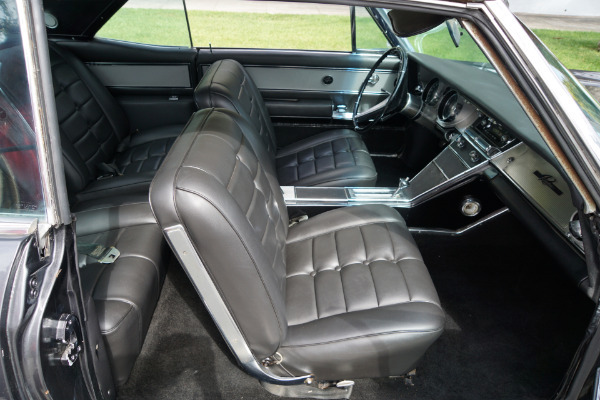 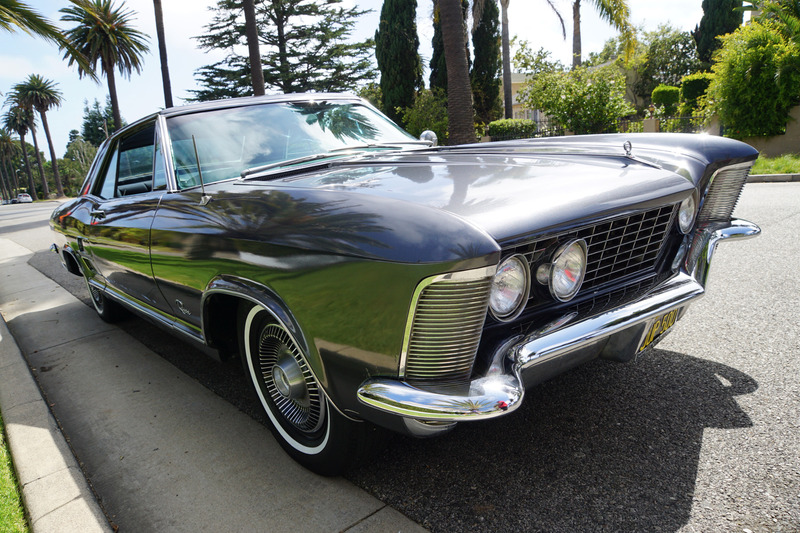 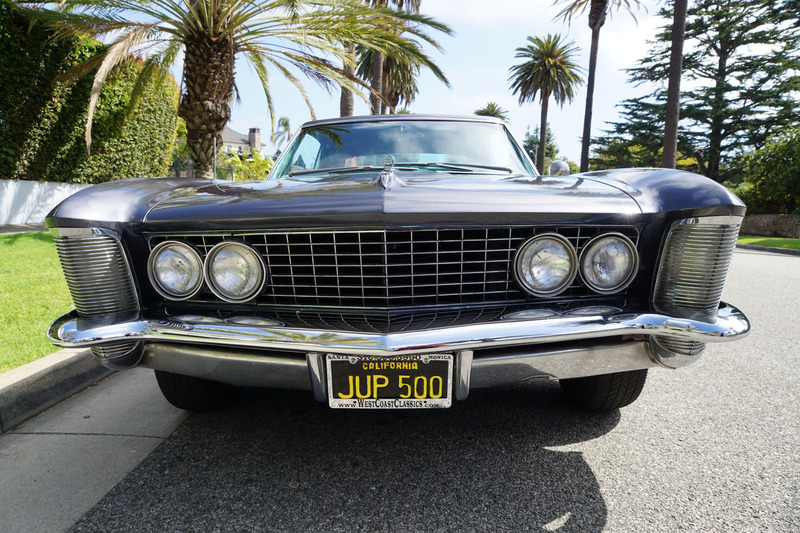 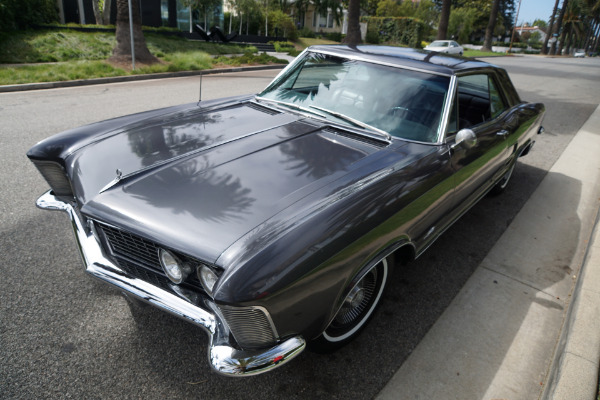 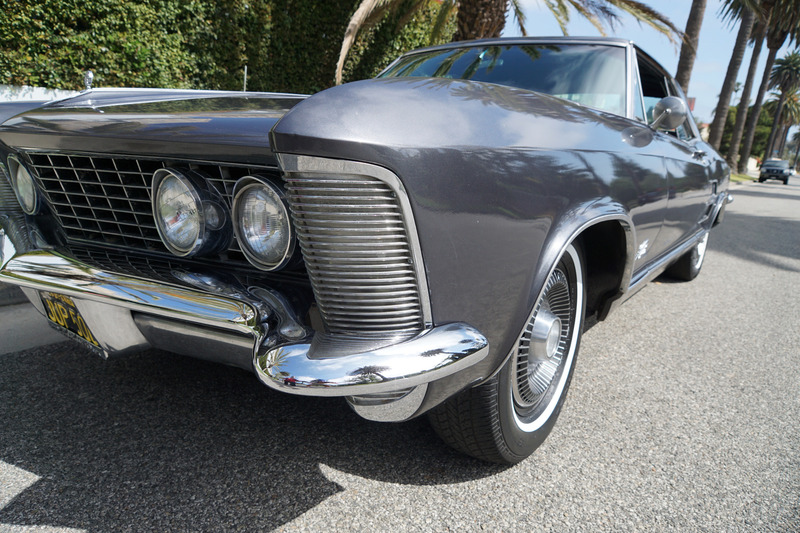 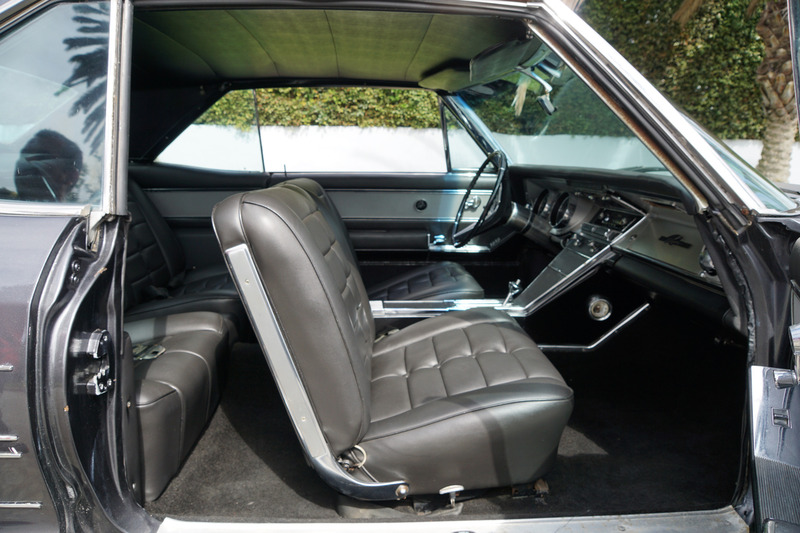 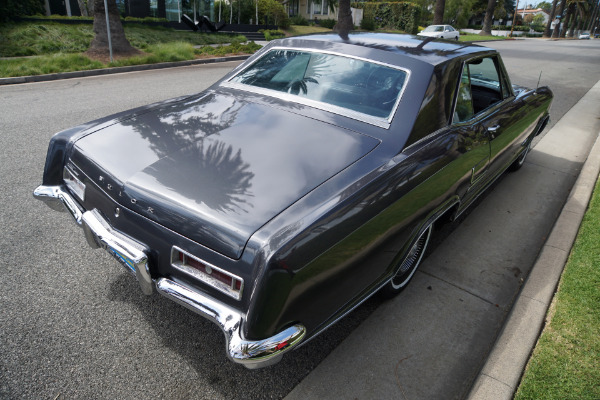 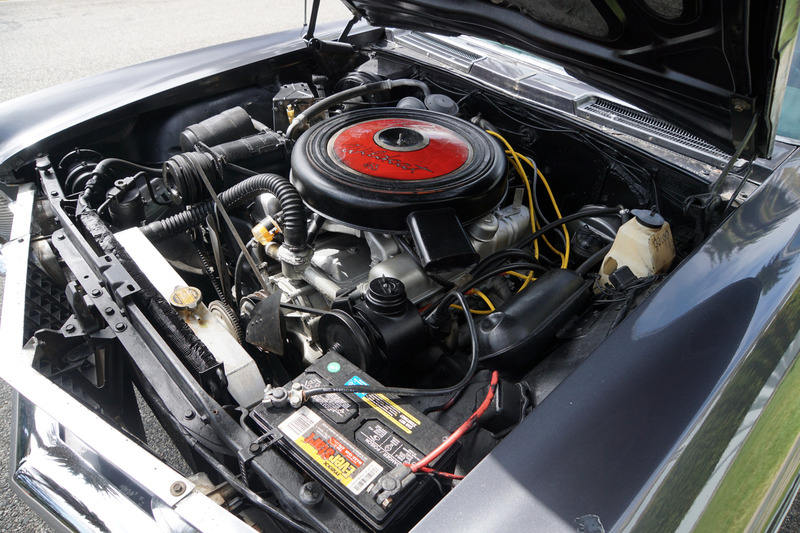 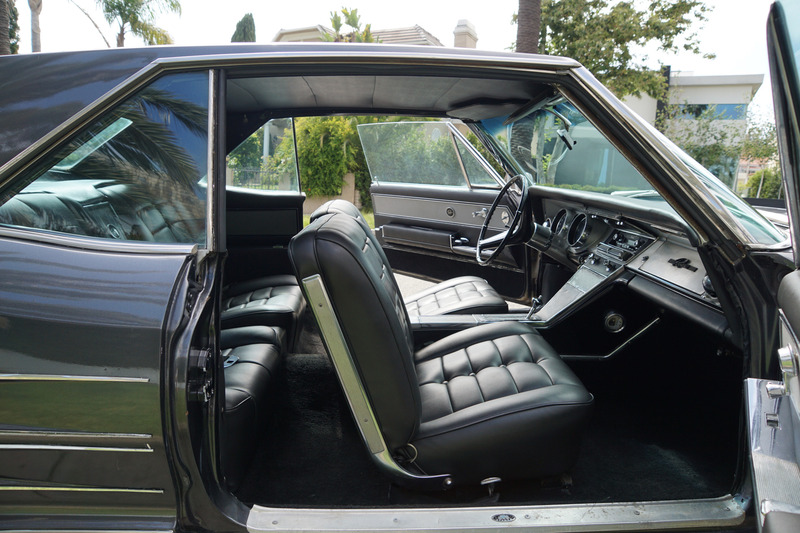 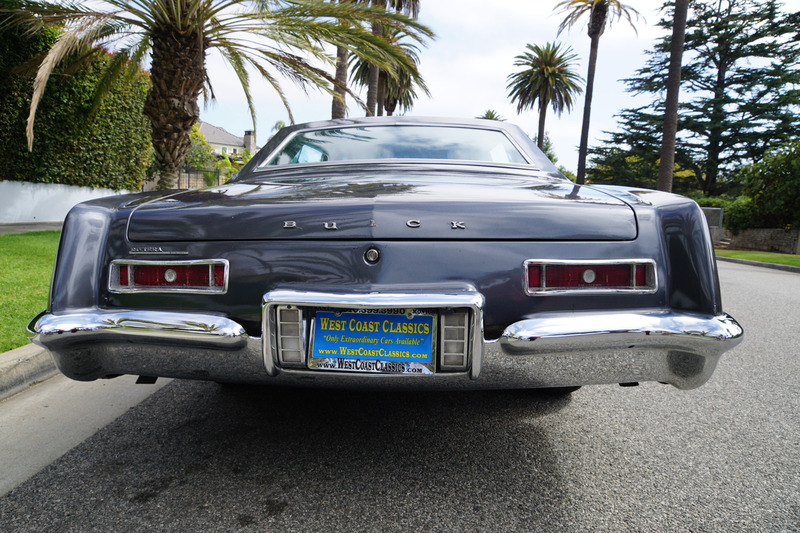 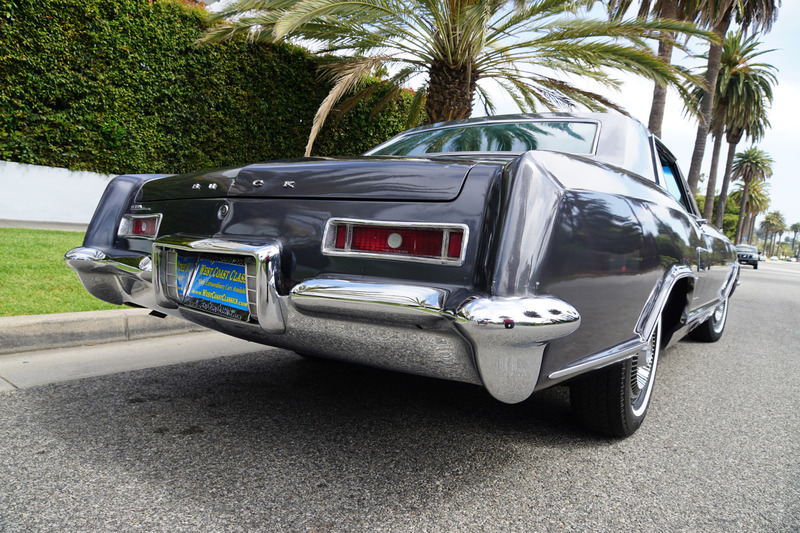 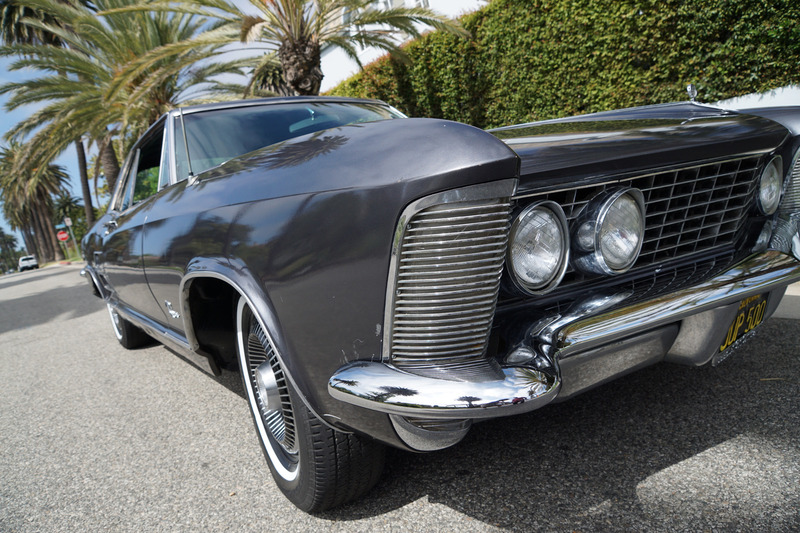 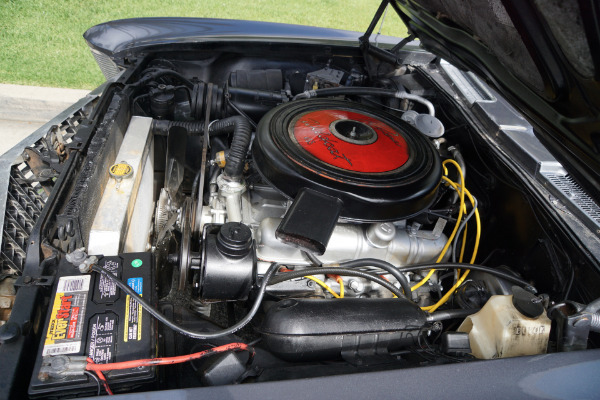 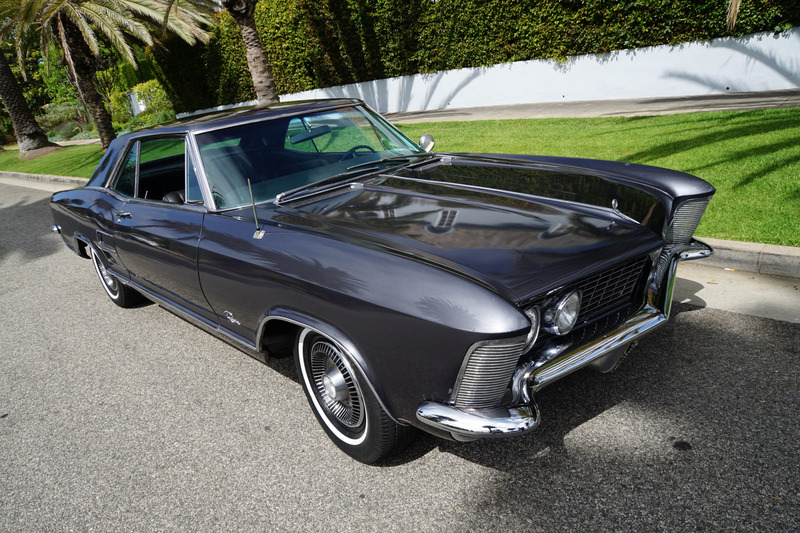 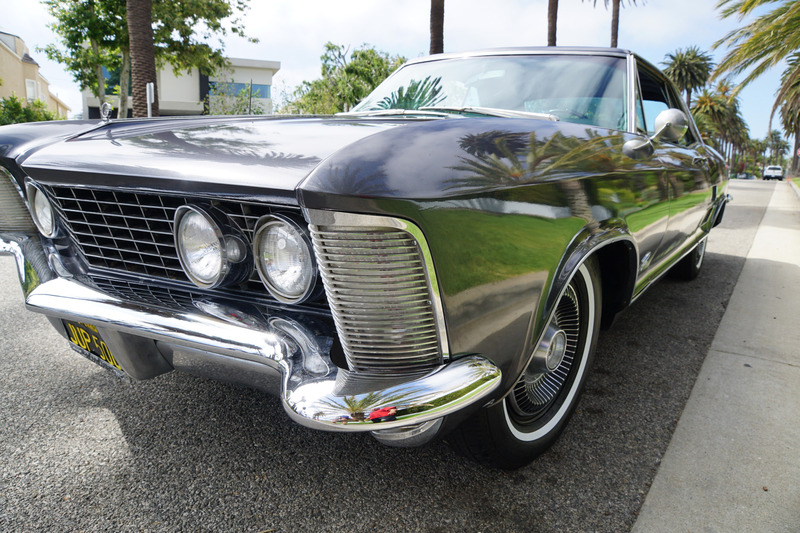 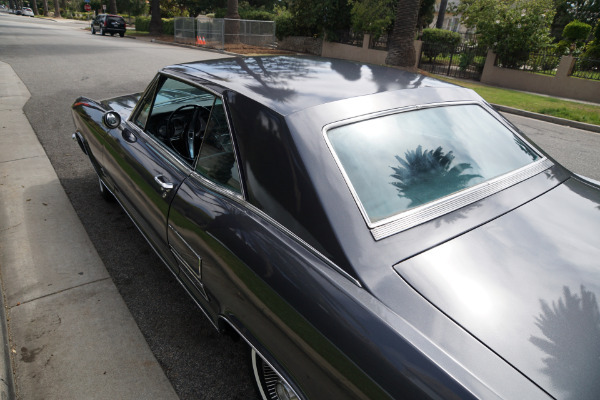 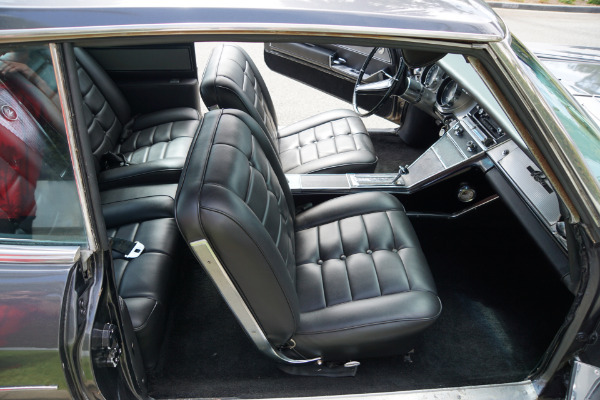 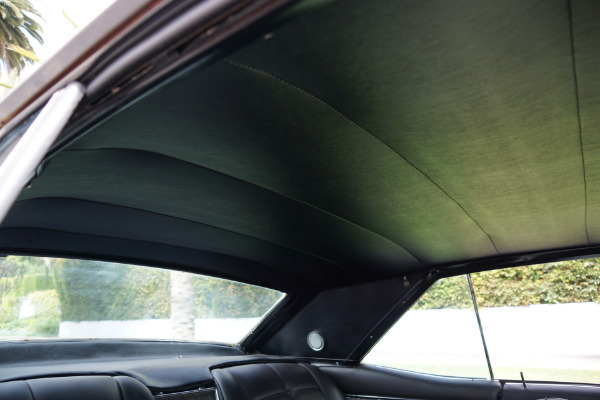 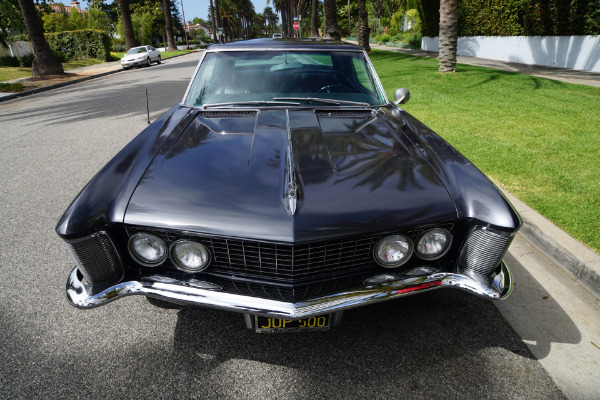 West Coast Classics present a rare 1963 Buick Riviera coupe with its original and highly desirable matching #'s 401/325HP 4 barrel 'JT' code 'Wildcat' engine. The car has an older repaint in a 'Dark Gray' color and has a 'Black' vinyl front and rear bucket seats interior with a center console and console mounted transmission with a twin turbine Dynaflow automatic transmission, heater and defroster, power steering, power brakes, electric clock, map light, automatic trunk light, lined luggage compartment, deep pile carpeting, dual exhausts, dual speed wipers with washers, deluxe steering wheel, deluxe wheel covers, backup lights and loaded with virtually every conceivable factory option apart from cruise control; with air conditioning, soft-ray tinted glass, tilt wheel, power windows, very rare factory AM radio with power antenna and the very desirable optional hubcaps! This is one mighty rare example with virtually every possible factory available options except power vent windows, cruise control & the rear window defroster! 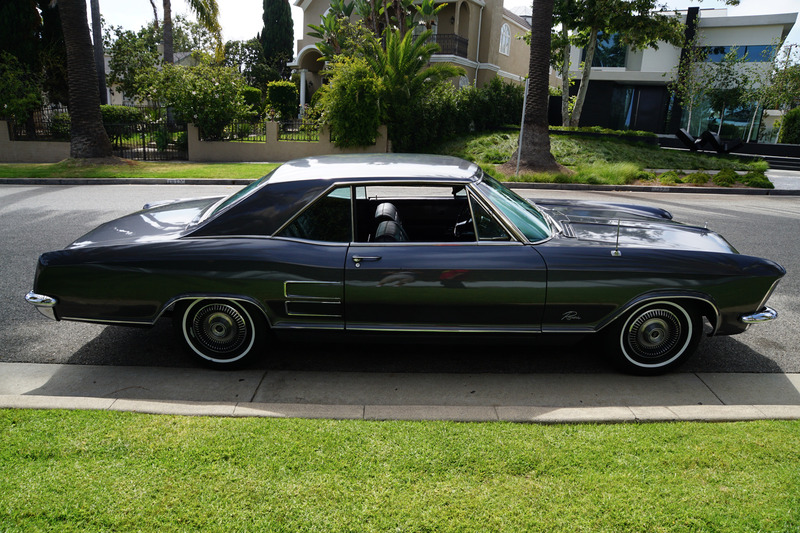 This should be considered a good project car with definite needs but which drives and runs fairly well. 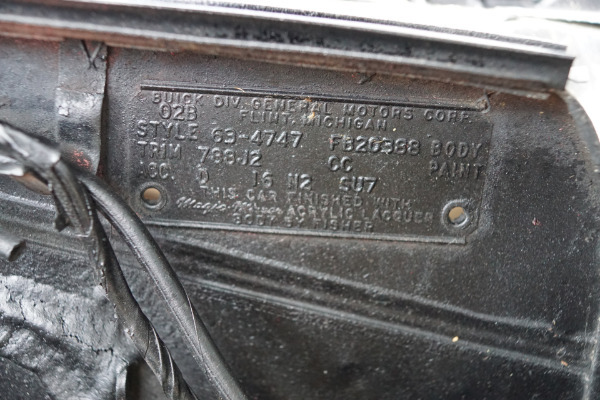 It has a very average quality repaint in a 'Dark Gray' color paint and please note that there will be some definite cosmetic and possibly some mechanical issues needing attention. 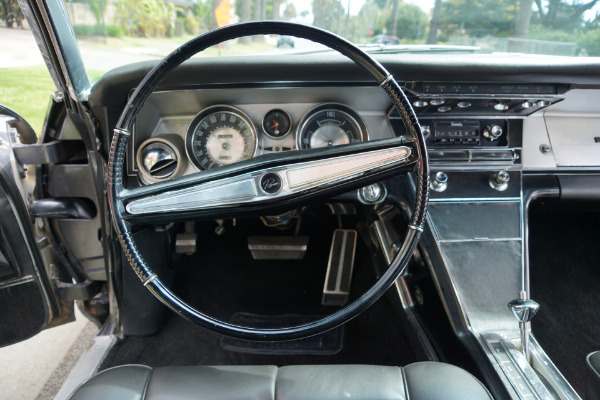 For example the car drives well and the original matching #'s engine is strong but the AC and one of the power windows are not working. 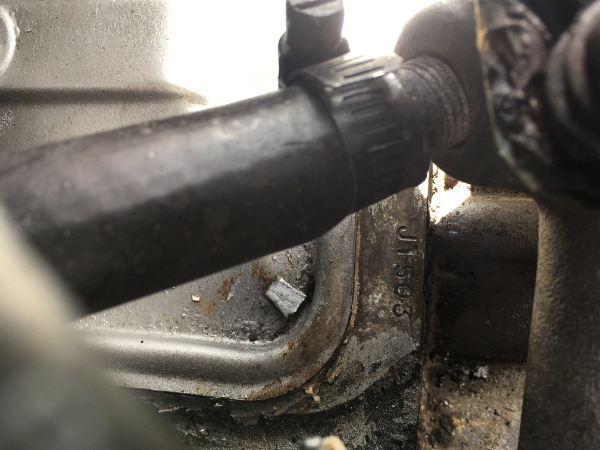 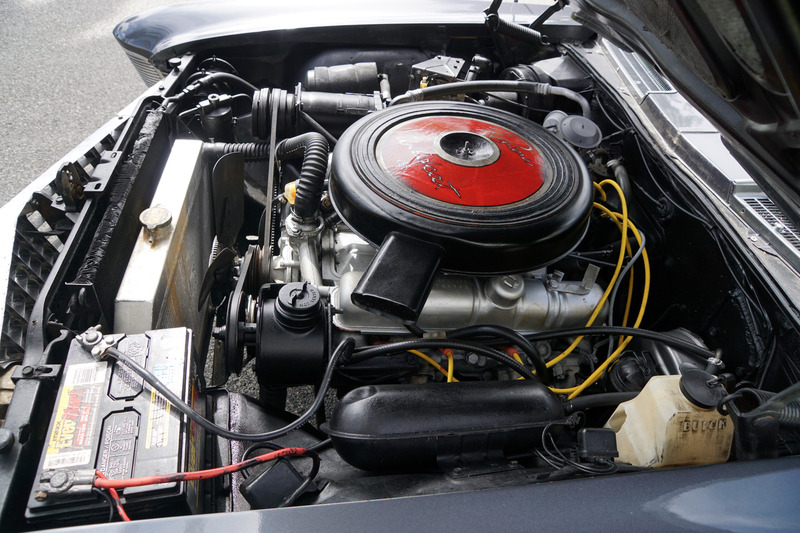 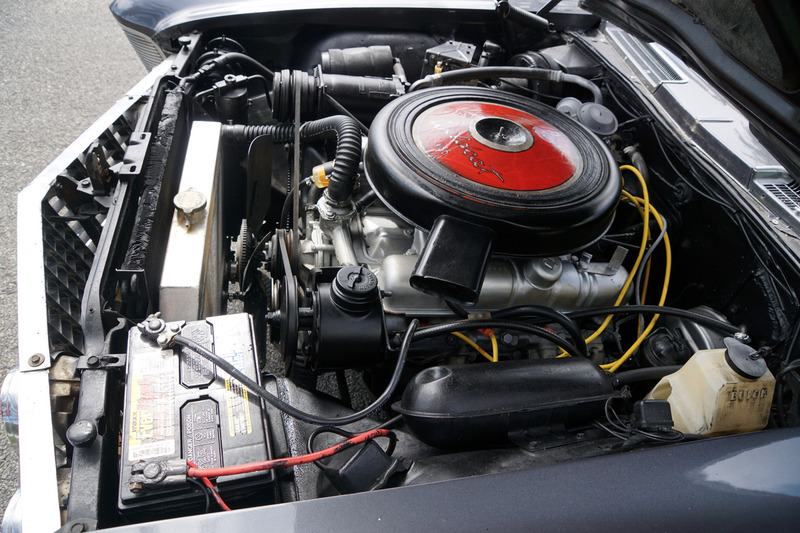 We have had the carburetor rebuilt and adjusted to specs, we have drained the fuel tank and replaced it and the car has new front brake pads but the car does have pitted chrome and all the weather stripping will need replacing. 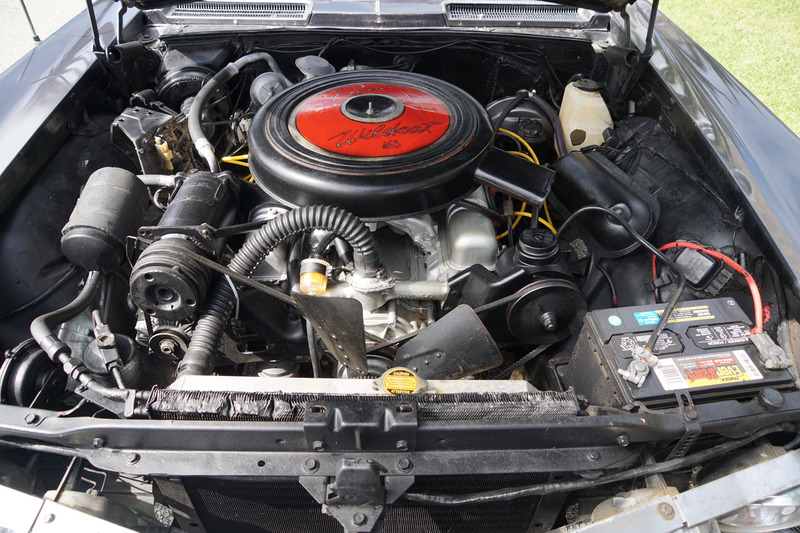 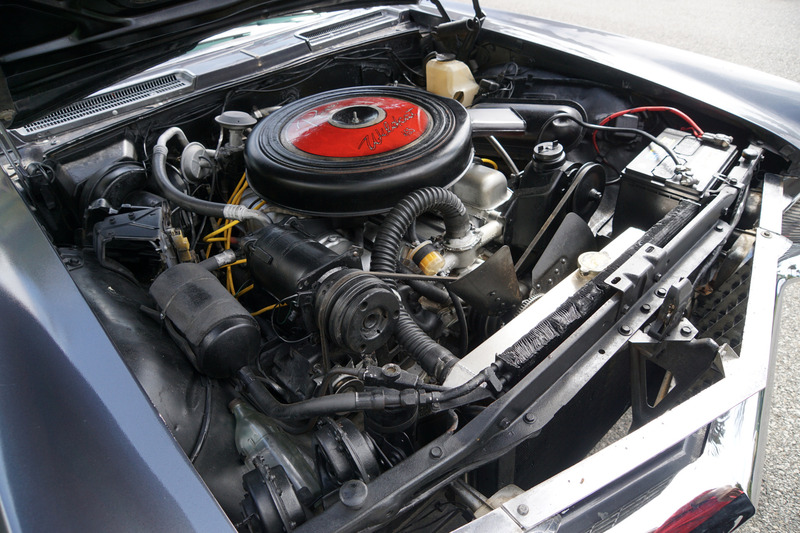 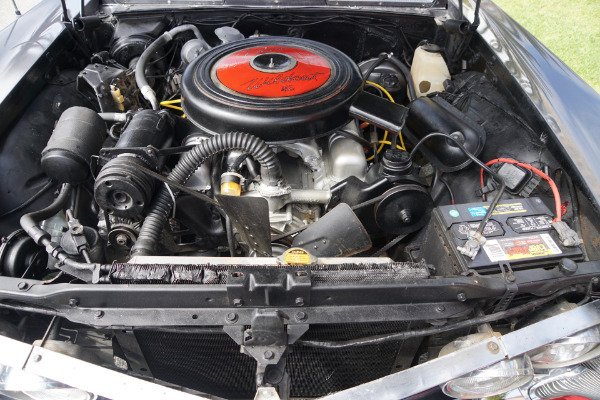 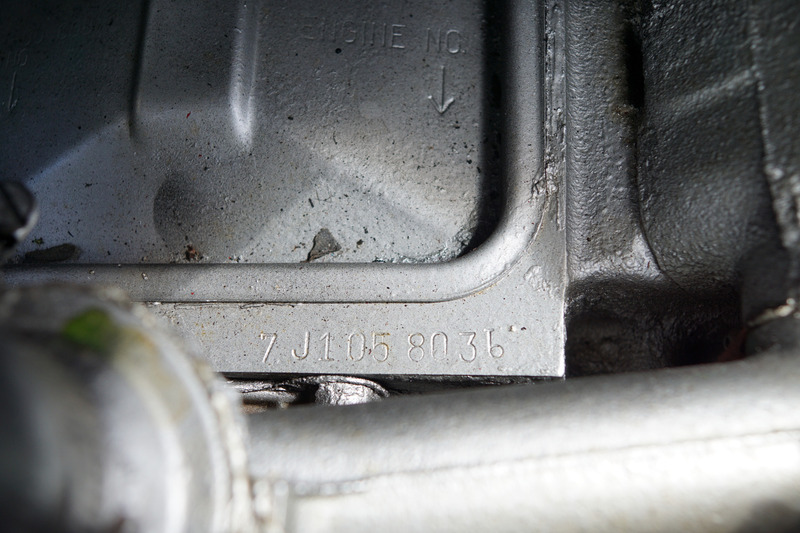 Overall the car should be considered as a project needing restoring and a car which will definitely need some TLC. 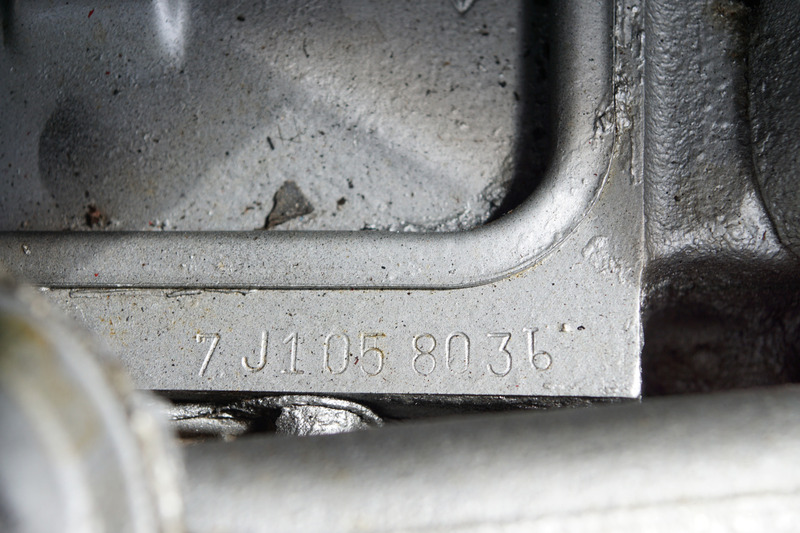 As previously stated, this particular example boasts its original matching numbers 401/325HP JT code engine and transmission. 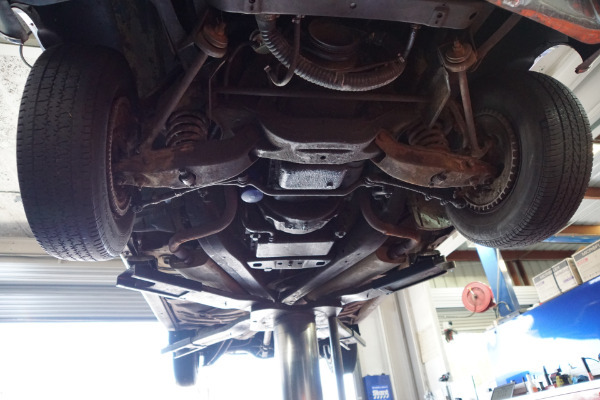 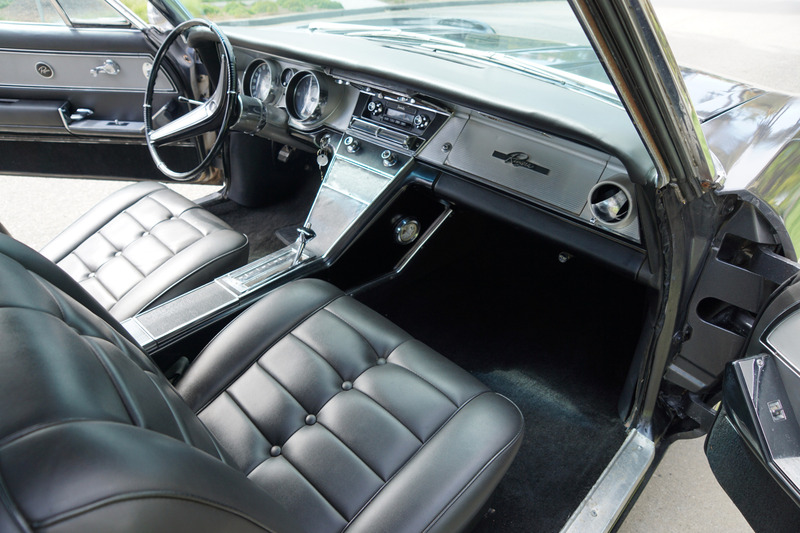 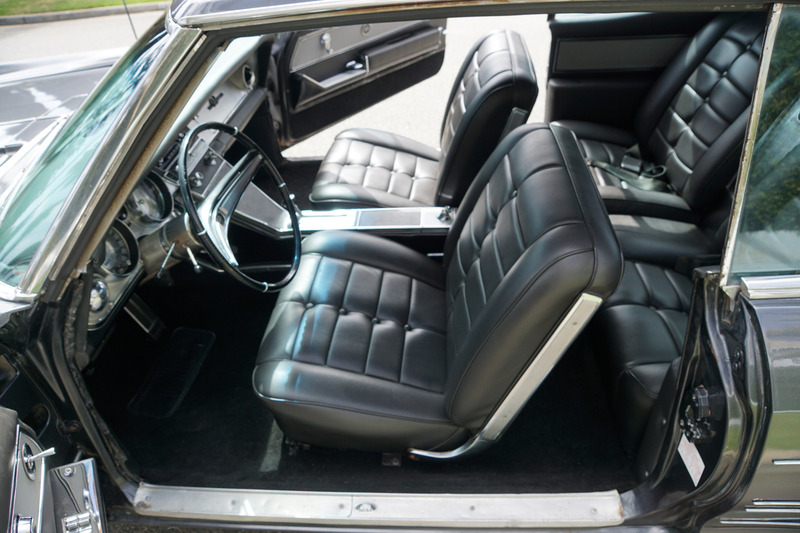 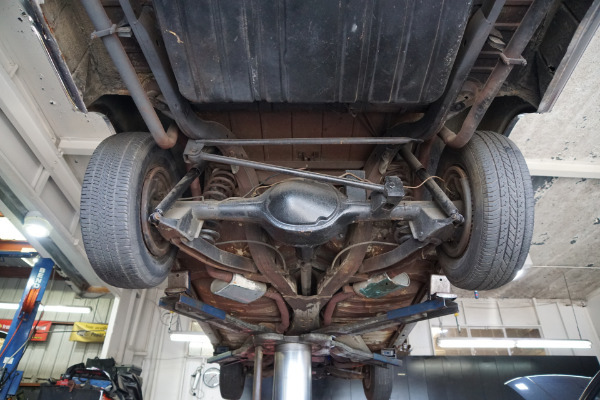 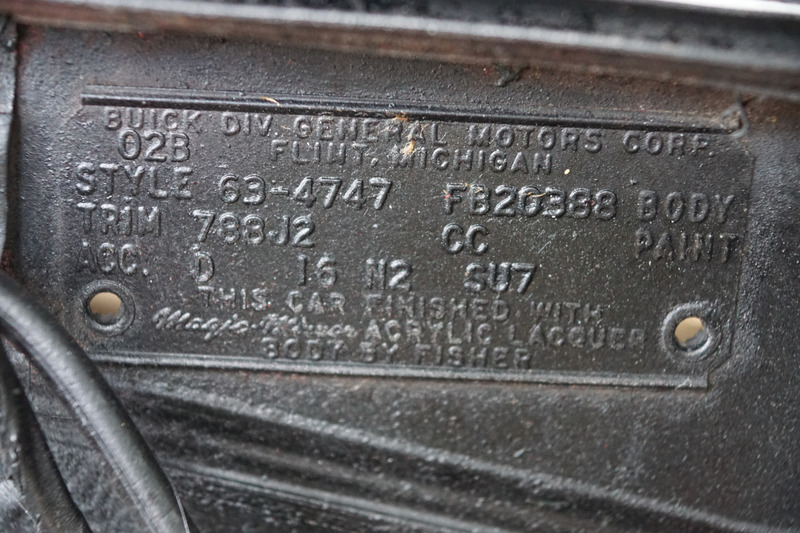 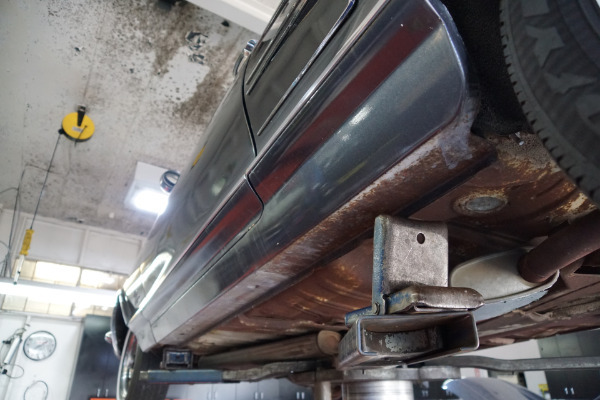 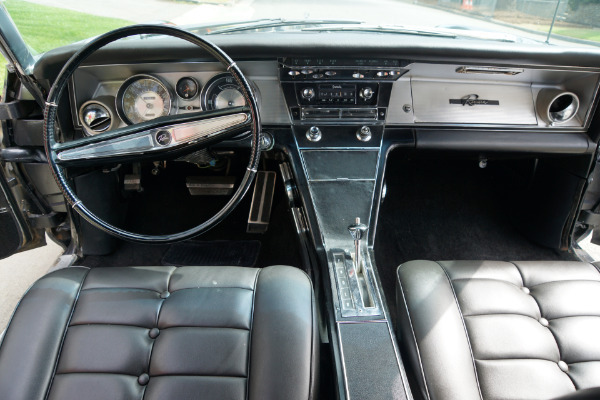 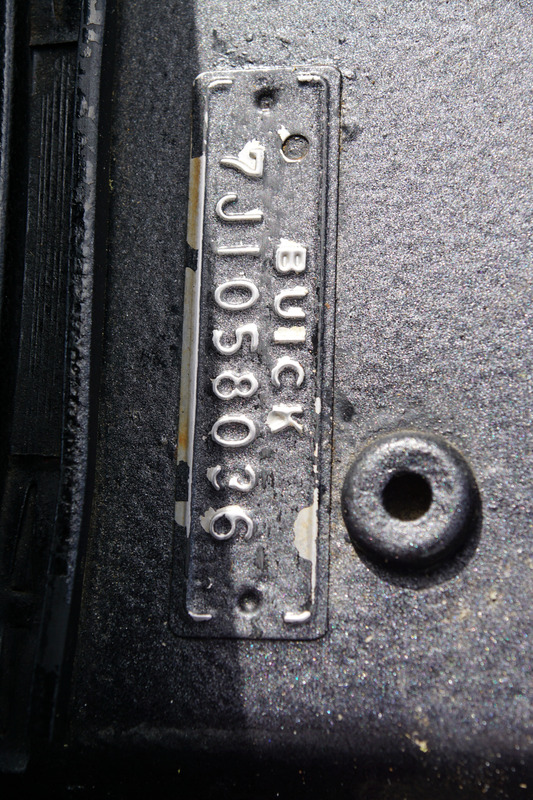 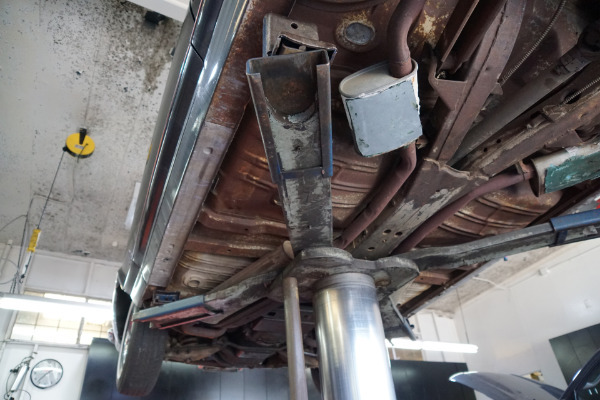 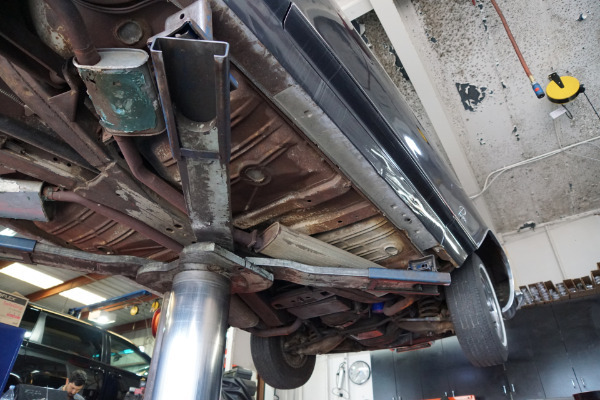 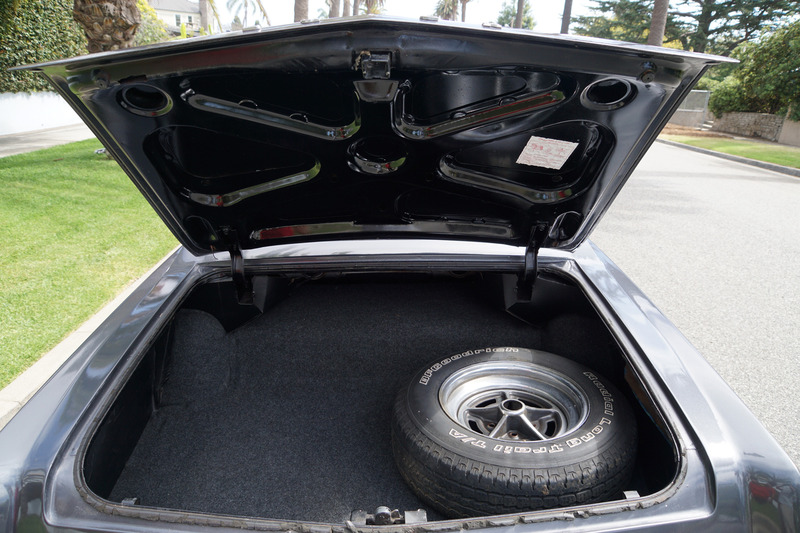 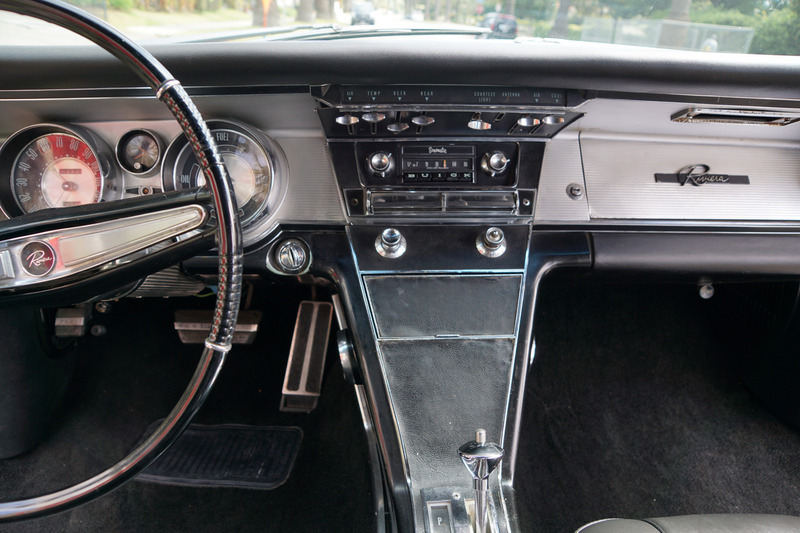 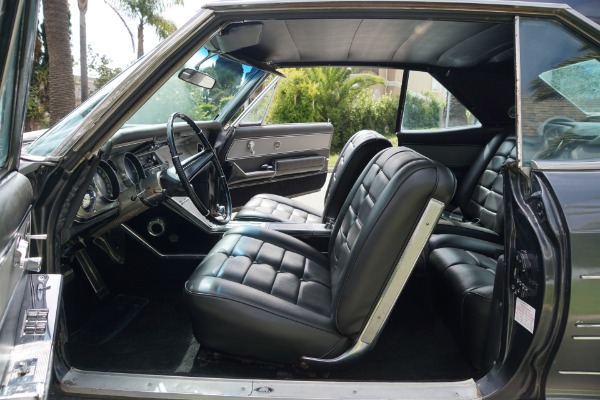 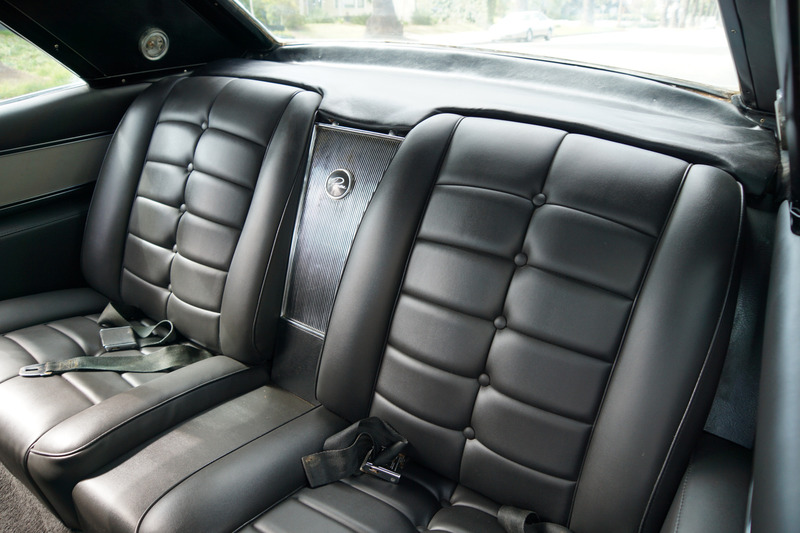 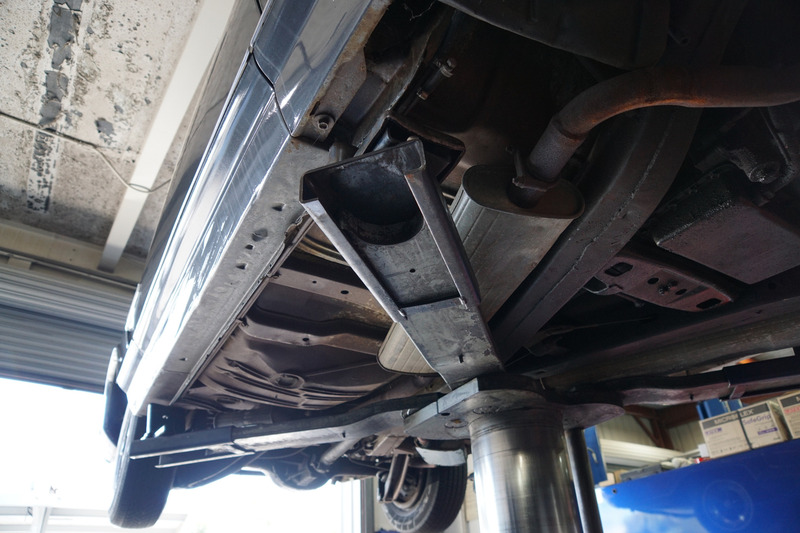 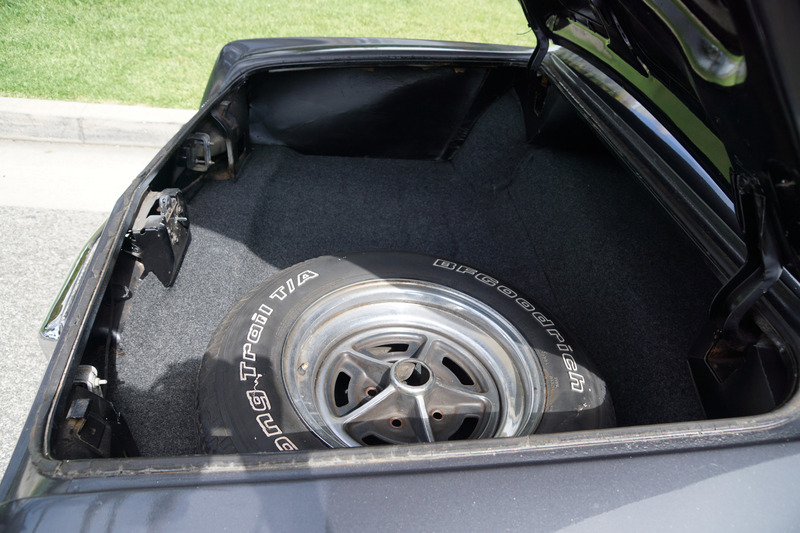 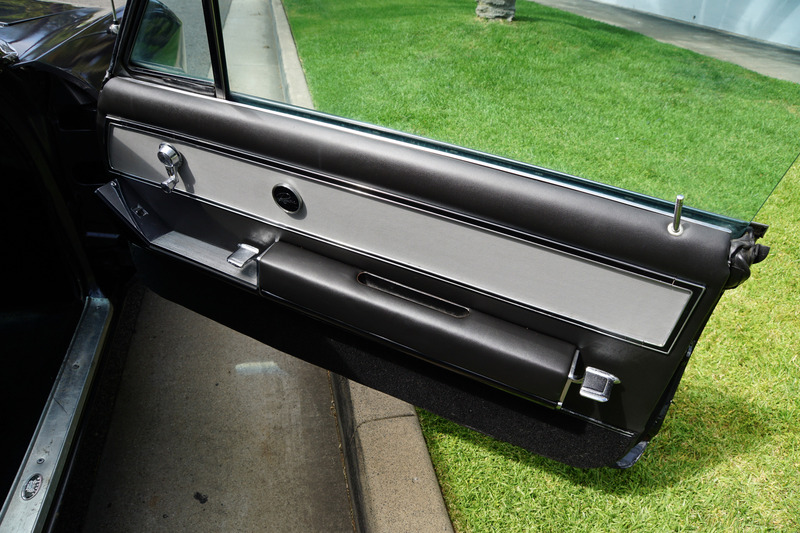 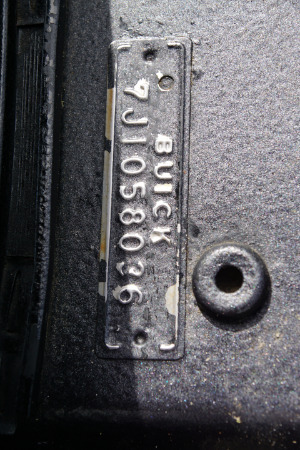 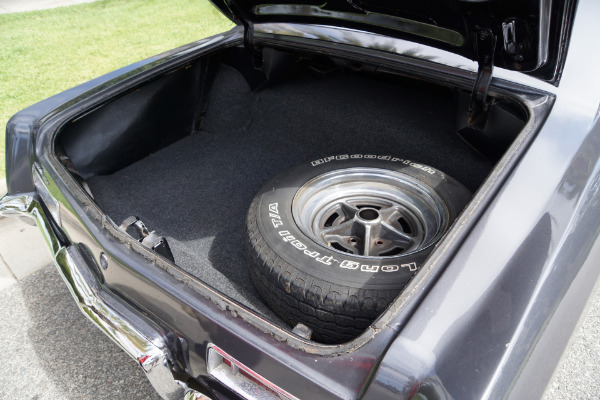 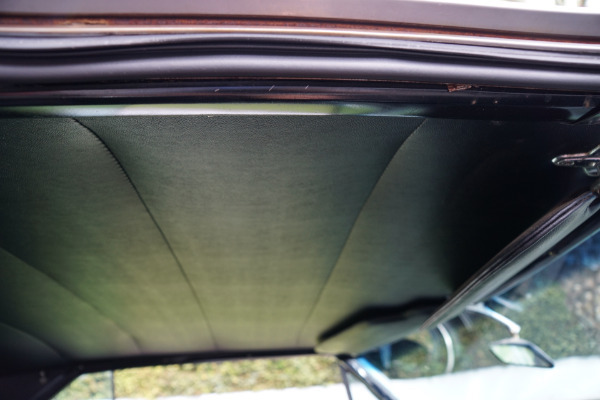 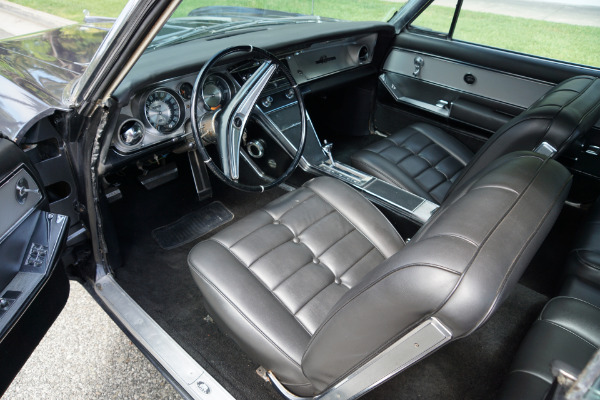 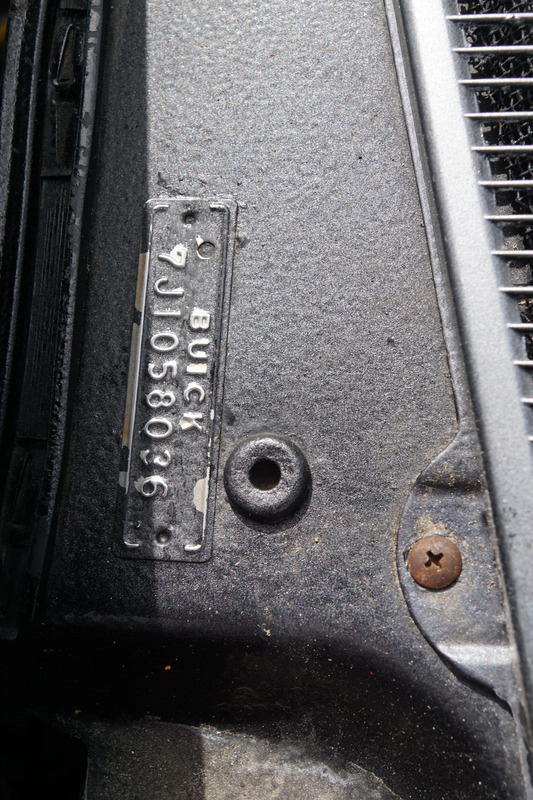 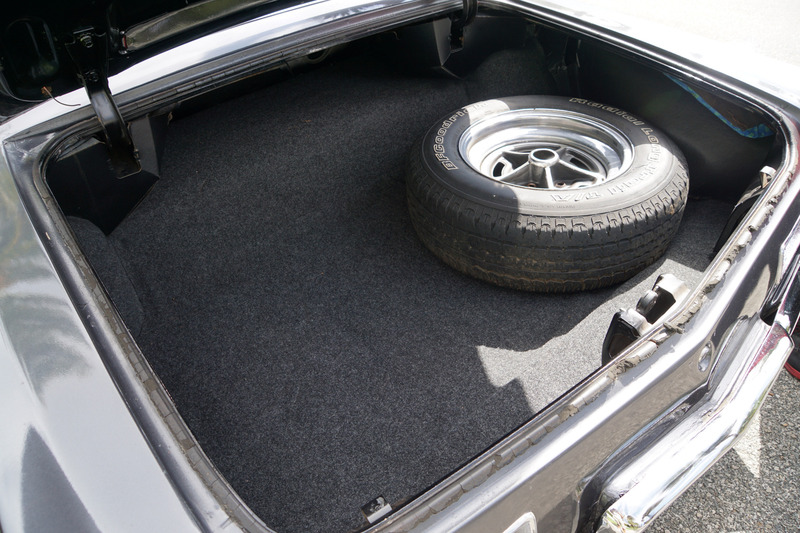 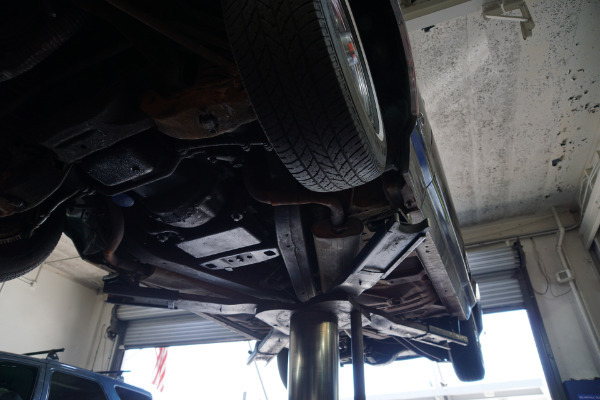 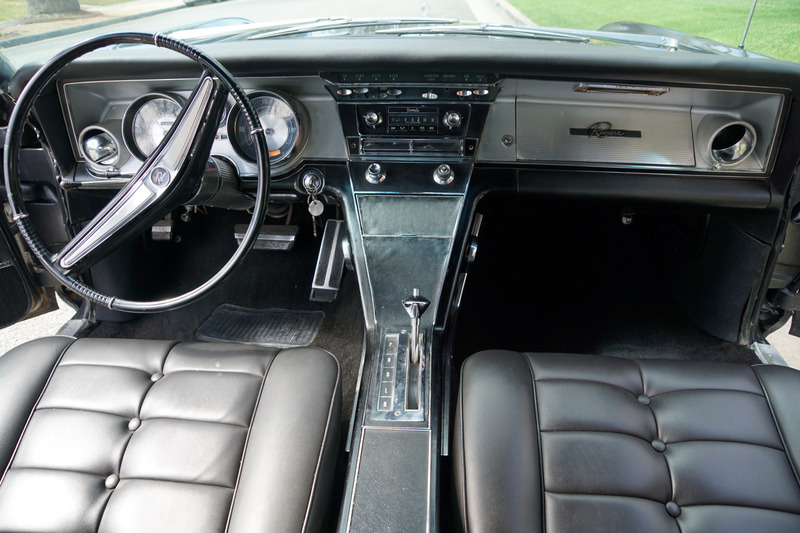 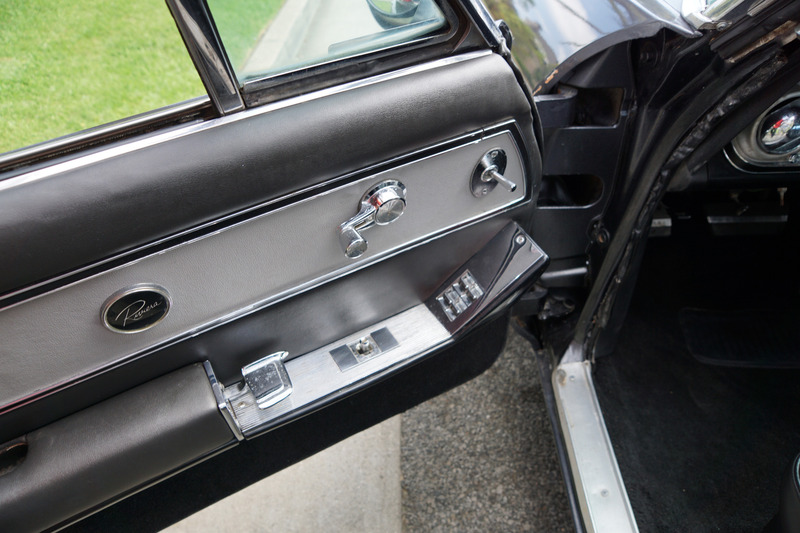 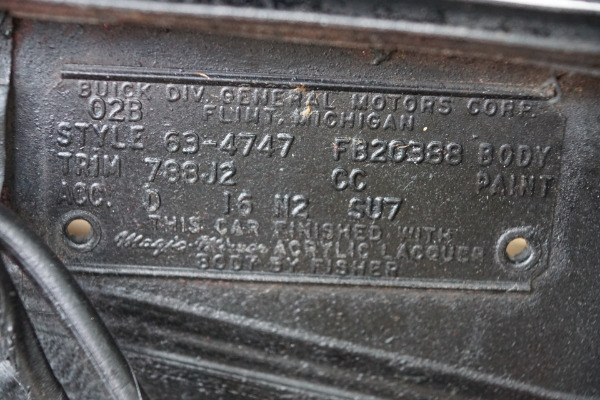 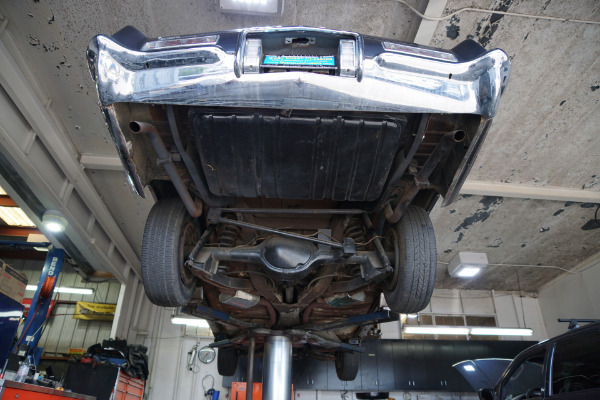 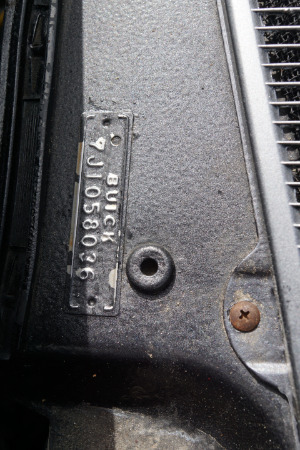 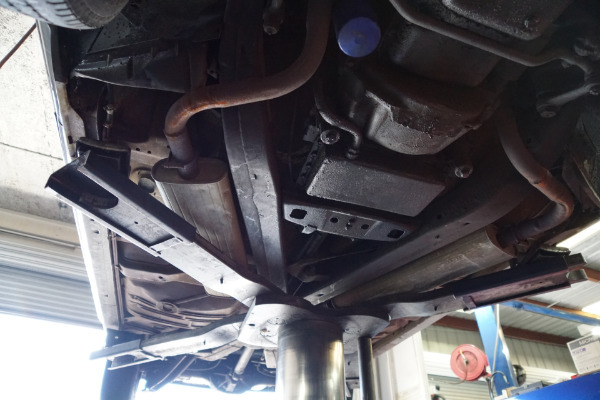 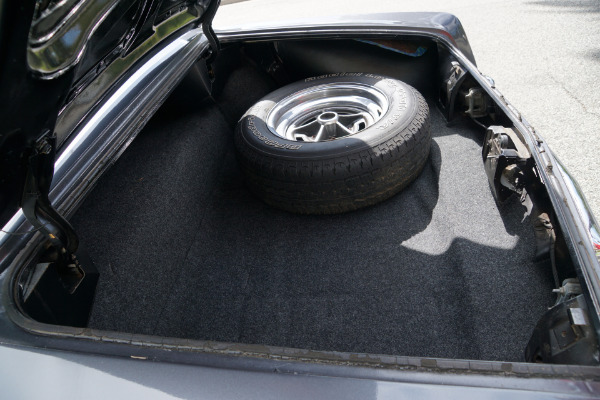 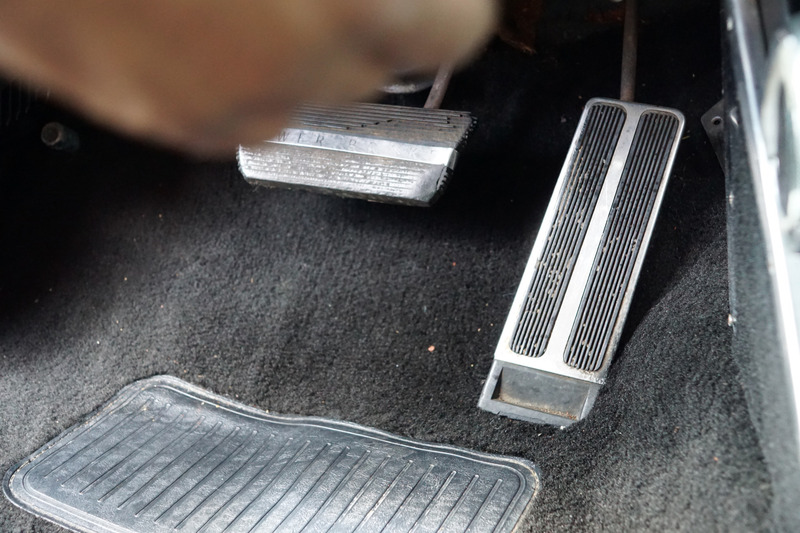 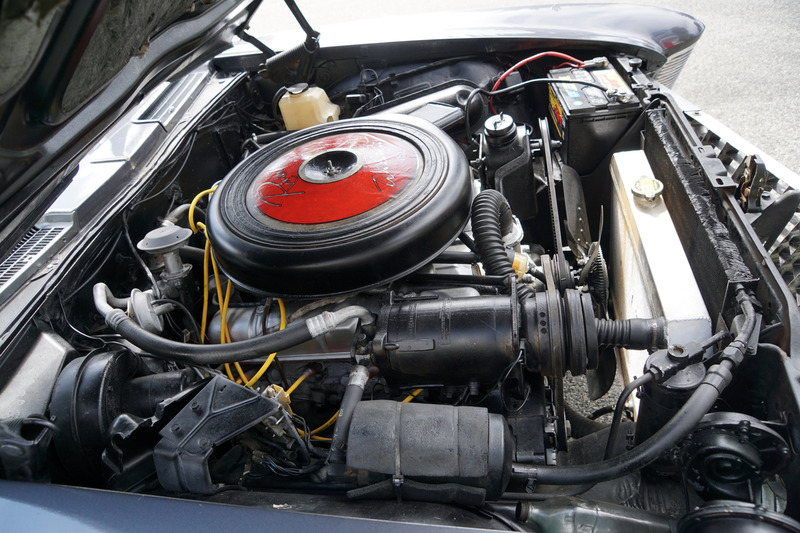 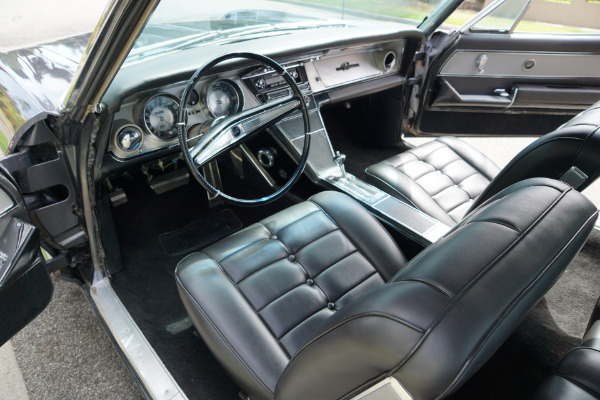 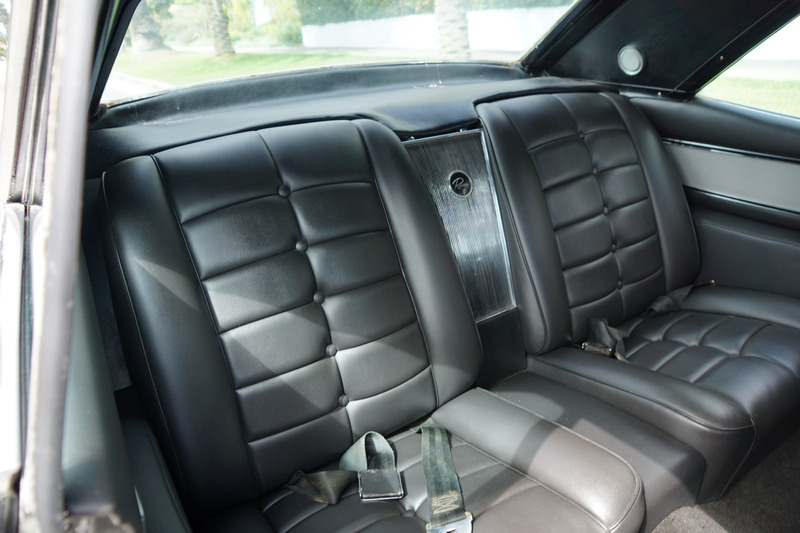 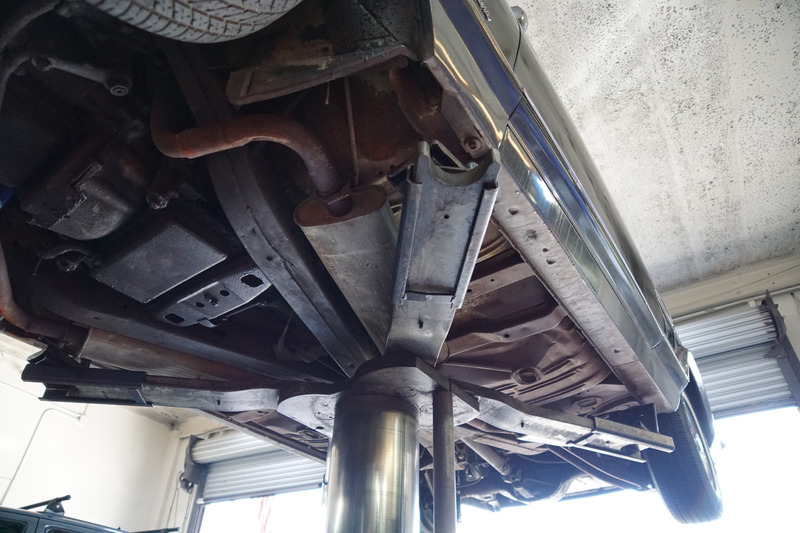 The floor boards, trunk and all the typical rust-prone areas are seemingly solid and mainly rust-free and the car has no signs of any major accidents.